Label Length: 8 to 300mm. Product Holding: Specially designed spring loaded/cushion type top belt. • Single side or double side simultaneously on any shape & size containers. • Speed up to 100-200-300 containers/min. 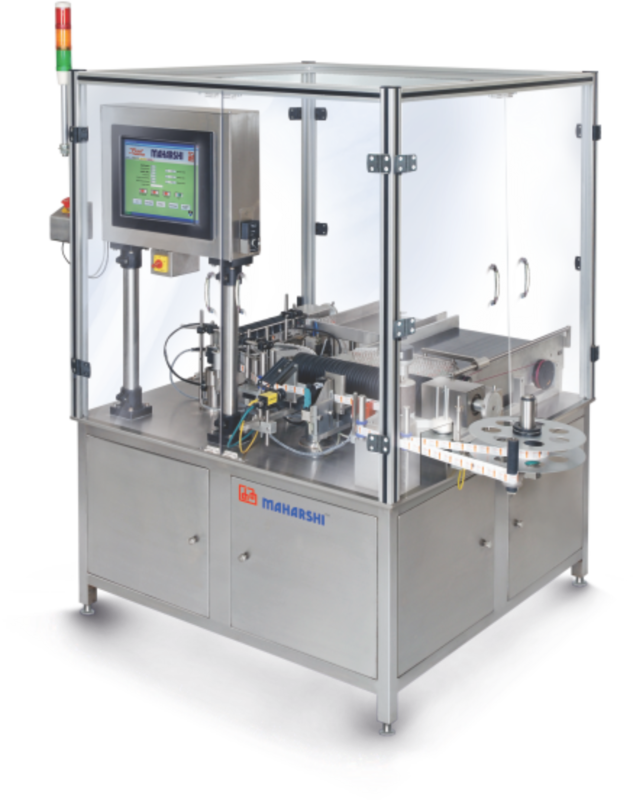 • Two label dispensers operates independently which allows different size of label application on either side. • Spring action feed warm / feed screw ensures high safety to containers in case of toppling down does not damage. 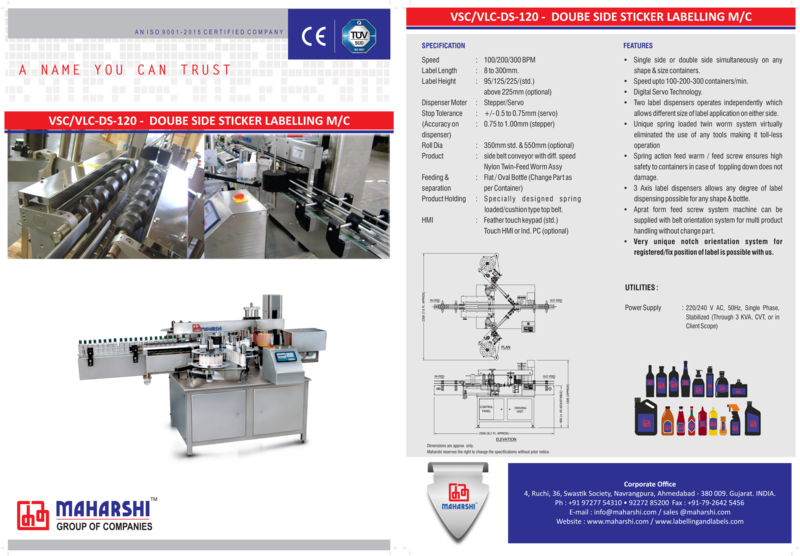 • 3 Axis label dispensers allows any degree of label dispensing possible for any shape & bottle. 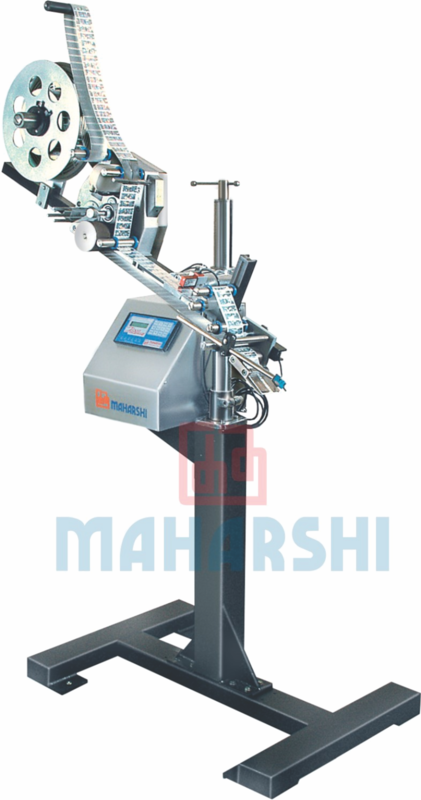 • Aprat form feed screw system machine can be supplied with belt orientation system for multi product handling without change part. • Very unique notch orientation system for registered/fix position of label is possible with us. Label Length : 8 to 300mm. 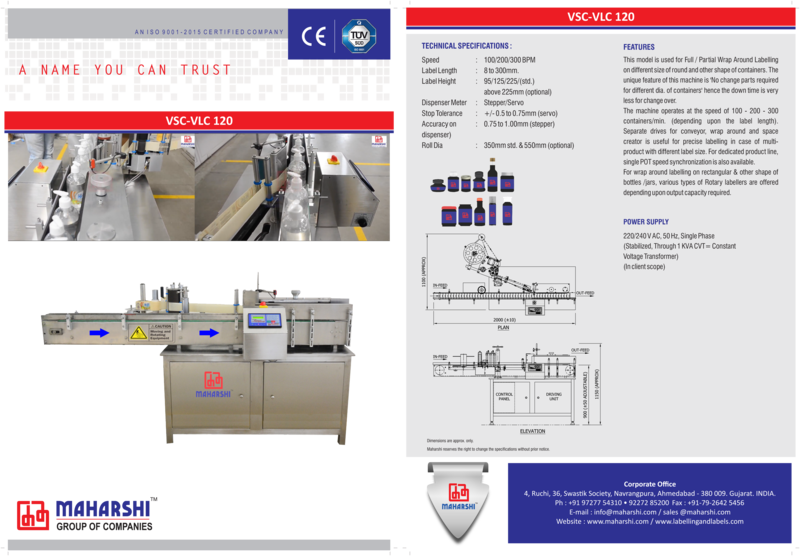 Suitable for label width up to 95 mm. Speed : 100 to 600 Amp./vials per min. Vertical Small round Container i.e. 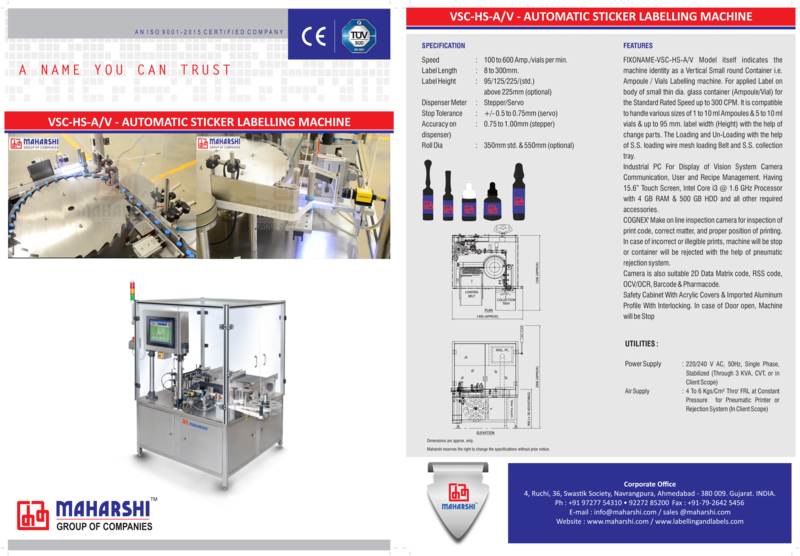 Ampoule / Vials Labelling machine. Speed: up to 300 CPM. Sizes of 1 to 10 ml Ampoules / 5 to 10 ml vials & up to 95 mm. label width (Height) with change parts. print code, correct matter, and proper position of printing. Incorrect or illegible prints inspection. Camera is also suitable 2D Data Matrix code, RSS code, OCV/OCR, Barcode & Pharmacode. Safety Cabinet With Acrylic Covers. No change parts required for different dia. of containers. Speed of 100 – 200 – 300 containers/min. (depending on the label length). 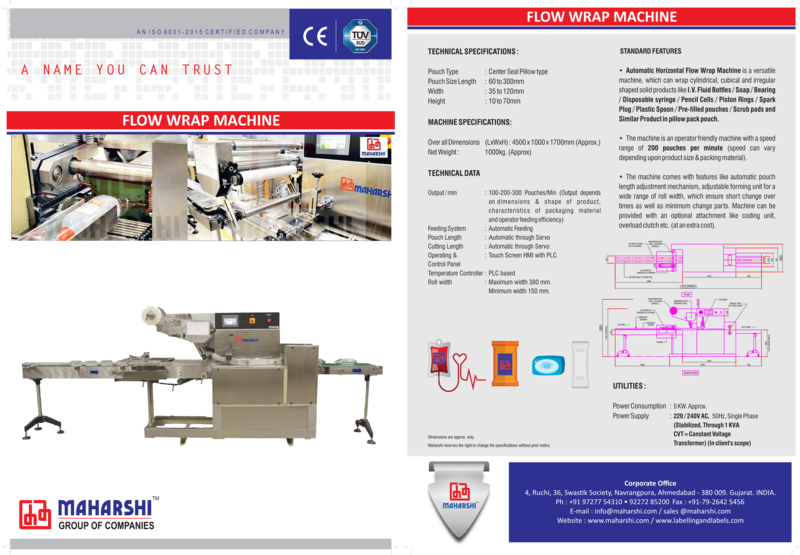 Separate drives for conveyor, wrap around and space creator is useful for precise labelling in case of multiproduct with different label size. 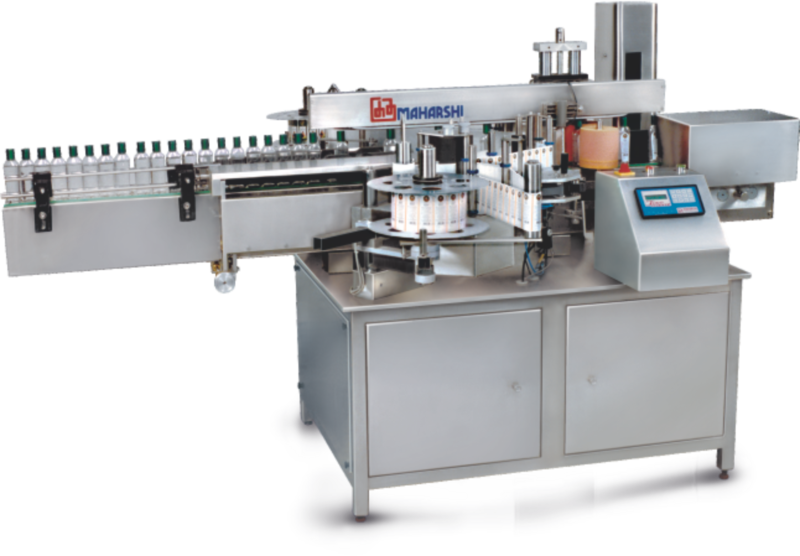 For wrap around labelling on rectangular & other shape of bottles/jars. Various types of Rotary labellers are offered depending upon output capacity required. Roll width : Maximum width 380 mm. / Minimum width 150 mm. Wrap cylindrical, cubical and irregular shaped solid products like I.V. Fluid Bottles/Soap/Bearing/Disposable syringe/Pencil Cells/Piston Rings/Spark Plug/Plastic Spoon/Pre-filled pouches/Scrub pads and Similar Products in pillow pack pouch. 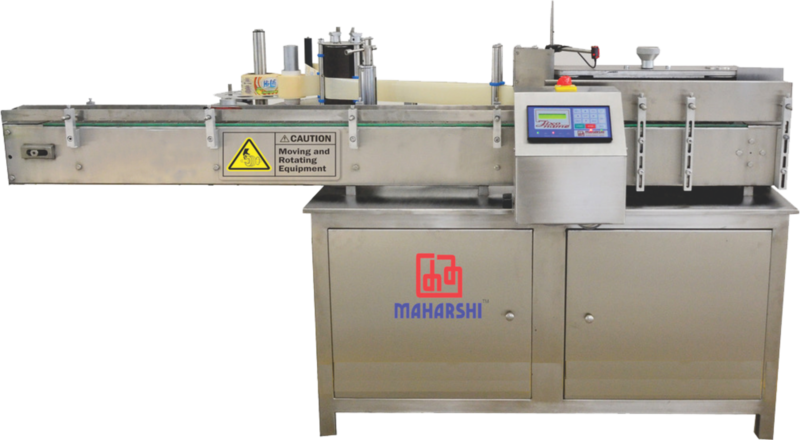 Speed range of 200 pouches per minute (speed can vary depending upon product size & packing material). Short change over times / minimum change parts. Optional coding unit, overload clutch etc. (at an extra cost). 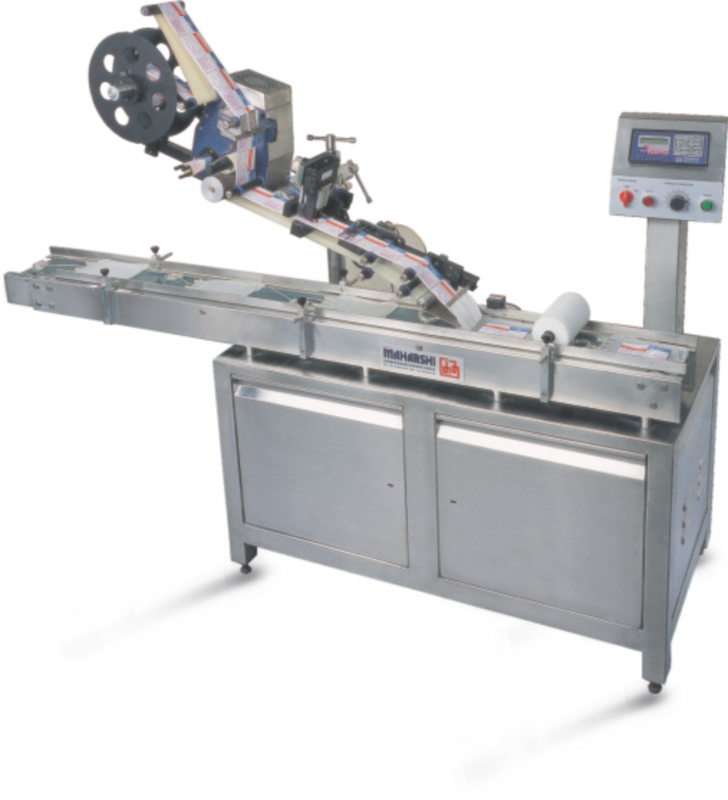 Fixed on existing packing line conveyors. Speeds up to 400 Products/min. (depending upon product specification). 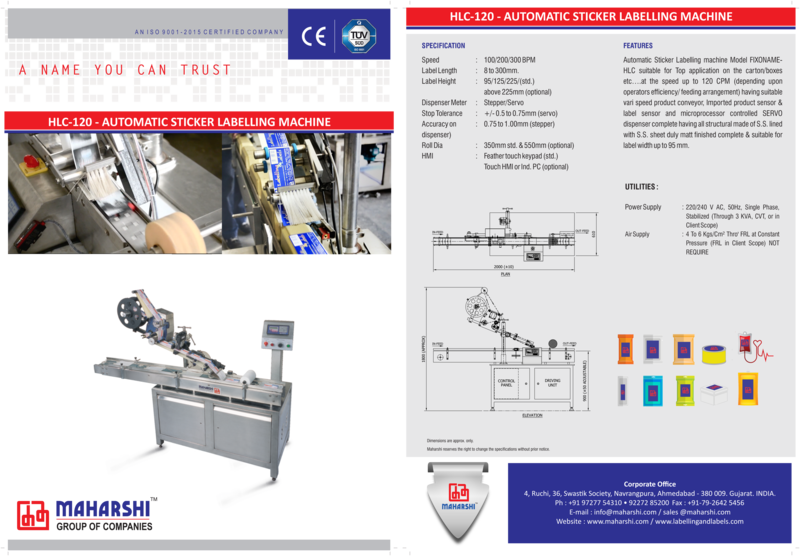 Can be used as stand alone unit for labelling where products are firmly held on conveyor line. 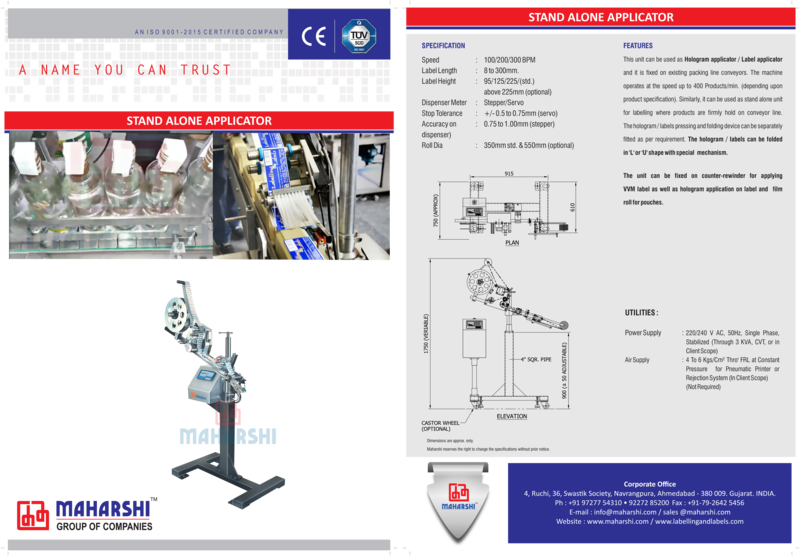 The hologram / labels pressing and folding device can be separately fitted as per requirement. The hologram / labels can be folded in ‘L’ or ‘U’ shape with special mechanism.